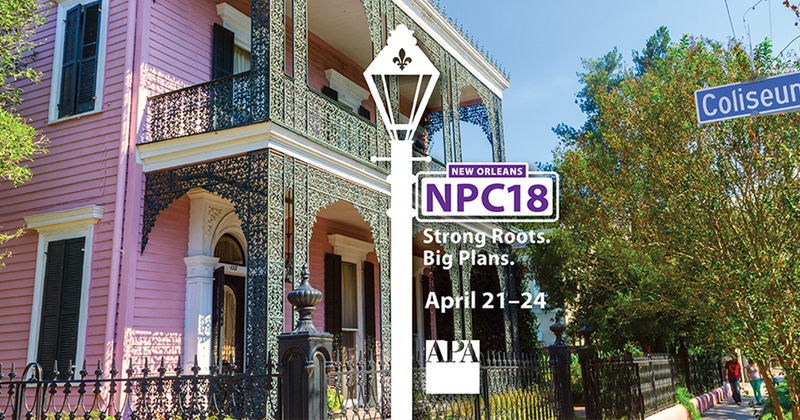 Alta Planning + Design will be present at the 2018 National Planning conference hosted by the American Planning Association in New Orleans, LA on April 21-24, 2018. Alta staff will be presenting at numerous sessions to discuss planning trends and issues including dockless bike share and integrating public health into active transportation planning. Alta’s New Mobility Group, including Jean Crowther, AICP, and Lisa Nisenson, will be presenting, as well as Alta Vice President Wade Walker, PE, Hon. ASLA. See full presentation details and time information below. Dockless bike-share is on a roll, but is it an advance for ubiquitous, on-demand travel or “mobility spam”? This session looks at planning and policy techniques to integrate dockless bike-share into your campus or city’s transportation system. Sunday, April 22 | 1 p.m. – 2:15 p.m.
Legare Bridge in Charleston, S.C., provides a critical link to the city’s downtown — but only if you’re driving. After years of effort, what will finally change that? Hear from four perspectives: city leadership, local advocate, neighboring suburbia, and regional planning. Autonomous vehicles will begin to revolutionize mobility in communities across the nation by 2020. This session will present the latest research from APA, along with examples of places that are introducing shared autonomous vehicles to reshape development. Sunday, April 22 | 4:15 p.m. – 5:30 p.m.
How can planners better integrate evidence into the planning process? Explore three different technologies in transportation and public health that make research accessible to the public. Discussion will include questions about transparency, community engagement, and informed decision-making. Tuesday, April 24 | 10:15 a.m. – 11:30 a.m.
State health departments are becoming unlikely leaders in local transportation planning. What does this mean for transportation? Explore the ramifications of this new lens for defining priorities and impacts; understanding health equity; and tapping into new partners, capacity, and funding.